Larger Benches of the Supreme Court had previously held that secular democracy is one of the basic features of the Indian constitution, and that Section 123(3) of the Representation of this People Act was intended to uphold the principle of secular democracy.But the bench ignored the ruling in contrary. 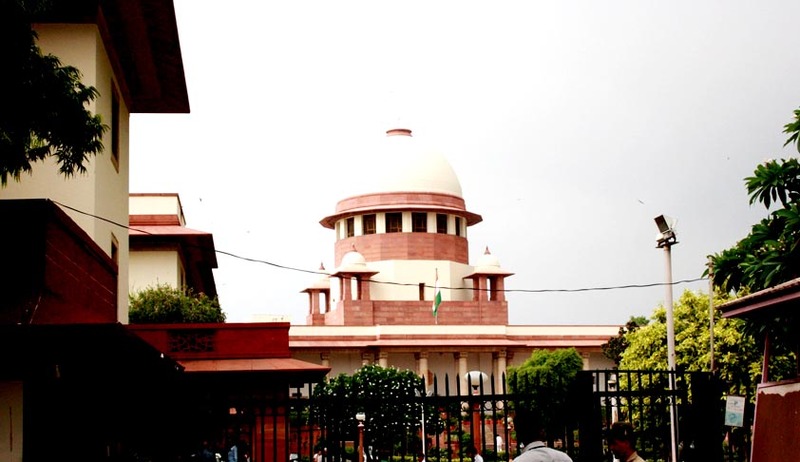 By these judgments the Supreme Court Bench has watered down to a very material extent the rigour of the above provision in respect of candidates who stood for Hindutva or who appealed for the creation of a Hindu state. In fact, the encroachment of religion into secular activities is strictly prohibited. This is evident from the provisions of the Constitution to which we have made reference above. The State's tolerance of religion or religions does not make it either a religious or a theocratic State. When the State allows citizens to practice and profess their religions, it does not either explicitly or implicitly allow them to introduce religion into non-religious and secular activities of the State. The freedom and tolerance of religion is only to the extent of permitting pursuit of spiritual life which is different from the secular life. The latter falls in the exclusive domain of the affairs of the State….. The question before the court was not what the expression Hindu or Hindutva meant or ought to mean according to the philosophers but what the authors of an election pamphlet belonging to an overtly communal meant when they used the expression in the pamphlets published and distributed as part of the pamphlet meant the same thing what Radhakrishnan and Monier Williams meant. The learned judges then made the touchingly native statement that it may well bethat the words are used in a speech to promote Secularism or to emphasis the way of life of the Indian people and the Indian culture or ethos or to criticize the policy of any political party as discriminatory or intolerant. The learned judges failed to realize that the expression with which they were concerned were used in the context of appeal to the voters in an election campaign in support of candidate belonging to political parties inspired by the writings of M S Golwalker and V D Savarkar who had expounded the politics and ideology of Hindu Rashtra and Hindutva- one language, one religion, and one nation. Their writings were more relevant for the case than the writings of Radhakrishnan, etc. Justice Verma in a later case appeared to retreat from the earlier position taken by him on the question of what Hindutva meant and all that. Though he has attempted to make a slight retreat from the earlier position taken by him, there can be no doubt that the decision requires to be overruled. The court did not appear to realize that they were dealing with not a problem of law and order only or the destruction of some construction or other, but with the very concept of secularism so carefully built into the Constitution by the founding fathers”. “Without expressing anyopinionon these questions, we are of the view that the entire case requires to be heard and decided by a large Bench of five Judges since the decision thereon upon the purity of election process and requires to be decided authoritatively. We, therefore, direct the Registry to place the case before our learned brother, the Chief Justice for constituting a larger Bench of five Judges, and, if possible, at an early date so that all the questions arising in the present appealcould be decided authoritatively and expeditiously”, theCourt said. While the five-judge bench was hearing this matter on January 30, it was informed that the identical issue was raised in the election petition filed by one Narayan Singh against BJP leader SunderlalPatwa and the apex court's another Constitution Bench of five Judges has referred a larger Bench of seven Judges. Thereafter, the bench headed by Justice Lodha referred Singh's matter to the Chief Justice for placing it before a seven-judge bench.